Prince Charles should stop managing the Duchy of Cornwall, the estate which provides his main income, say MPs who have analysed the Duchy's accounts. The Public Accounts Committee said the prince's management role led to a potential conflict of interest with future beneficiaries. But Clarence House said "special safeguards" ensured one generation did not "sell the family silver". And it stressed that the Duchy is a private estate, not a public body. The estate, held in trust for the prince, spans nearly 140,000 acres (56,655 hectares) across 20 counties. It includes the Oval cricket ground in south London and Dartmoor Prison in Devon. The prince chairs the Prince's Council, which includes the Duchy's chief executive, responsible for the day-to-day running of the estate. In 2004-05, the prince's income from it rose by 11% to £13.3m - up from £3m in 1993 - making him one of the country's highest earners. The prince voluntarily pays income tax - currently at 40% - on his income after deducting business expenses. But MPs - who also analysed the Duchy of Lancaster, which provides an income for the Queen - asked the Treasury to justify why the duchies are not subject to corporation or capital gains tax. MPs called for the National Audit Office (NAO) to be given the power to audit the royal books. They also expressed their "surprise" that the prince had the right to determine the level of income. They said the prince should follow the example of the Queen who has no role in the management of the Duchy of Lancaster. Tiverton and Honiton MP Angela Browning, a Conservative member of the committee, said: "We felt that there was a certain conflict of interest. "For example the direct involvement of the Prince of Wales in the management of the Duchy of Cornwall created a potential, and I stress a potential, conflict between the interests of current and future beneficiaries because this is something that is handed down from one generation to the next." A spokesman for Prince Charles said there was no conflict of interest in the prince's role and that it would not have a detrimental effect on future dukes of Cornwall such as Prince William. He said: "The Treasury approves all capital transactions with a value of £200,000 or more. "The Prince of Wales himself takes a long term view and has, for example, increased the Duchy's capital value - to which he has no access - by 80% in just the last six years." He added: "It seems that the Public Accounts Committee may have misunderstood what the Duchies of Lancaster and Cornwall are. "They are not public bodies. They are well-run private estates, specifically created to provide private income for the sovereign and the heir to the throne." 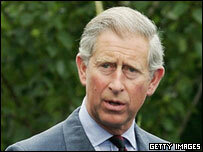 Asked whether the NAO would be allowed to audit the books, Prince Charles' spokesman said: "This is a private estate. It's not a public estate...private estates are not looked at by the NAO." He said the prince would effectively be taxed twice on the same income if the Duchy had to pay corporation tax. "Only companies pay corporation tax and many large organisations which are not companies pay income tax. "The prince pays capital gains tax, but not in respect of the Duchy of Cornwall because he does not receive any capital gains from it." A Treasury spokeswoman said: "As with all of the PAC reports, we will study the recommendations carefully and respond in due course." Prince's review - a PR offensive?